If you're focusing on the metaphysical, you may want to learn about human auras. Since the early 1900s, aura goggles have provided beginners and advanced aura readers an easier way of training to see auras. Have you ever heard the saying, "There's more to this than meets the eye?" It's a perfect description of the metaphysical world that many people are either aren't aware of or simply ignore. However, some people are very attuned to the universe, and are able to see things beyond the realm of what is considered "normal." One of those things is the human aura. Wendy Lambert manufactures a product called "Aura goggles." These simple glasses use a unique light filtering lens that can help the average person discern the aura of light that manifests around every living being in various ways. Wendy describes how the energy field called the "aura" exists in all living things. She believes most people are innately aware of this energy, some more than others. "Few of us can actually see it, but it is possible to develop aura viewing ability with practice." she explains. In 1928, Boddington, a spiritualist patented his creation "Aurospecs" a type of aura goggles. His goggles were made with double glass and a dye injected between them allowed users to see auras. While owners could refill them, the goggles proved impractical. Boddington later modified his creation by using glass that had the same spectroscopic shade and tint as the dye. This modified version was called 'Kilnerscreens' in honor Dr Kilner. It was Kilner who discovered the dye dicyanin when used on glass could create the effect of being shortsighted. In turn, this allowed a person see ultraviolet light and recognize the human aura. During the Spiritualist movement, Boddington's glasses were all the rage. In the 1960s, England's Metaphysical Research Group created aura goggles with the revival of interest in metapyshics. Wendy was eighteen when she read a book by Lobsang Rampa best known for his book, The Third Eye. She found the chapter on auras inspiring. The idea of being able to see the energy around people fascinated her. "I was excited about developing another sense that could expand my perceptions of others, since human behavior had always puzzled and interested me." Most people interested in metaphysics are curious about the human aura. Wendy was no different. 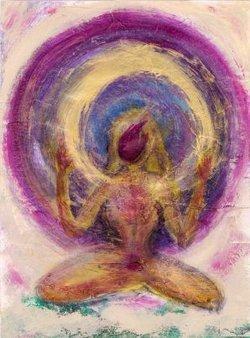 She began to look at people's heads and shoulders in an effort to see their auras. She became frustrated and let the idea fall away, until a few years later she came upon another book, Hands of Light: Healing Through the Human Energy Field by Barbara Brennan. "After reading her book, I was once again fascinated with the aura and what it might reveal," she says. She attended an introductory workshop led by Barbara and went on to attend Barbara's School of Healing some years later. "It was an incredible experience I will never forget, and one that offered tremendous opportunity for personal growth on many levels," she shares. Further inspired by Barbara Brennan's book, she was intrigued when the healer wrote about the use of aura goggles. Wendy found a pair in a metaphysical store. While the goggles worked, they didn't have any kind of instructions on how to use them. She said the goggles were expensive and wanted to create something more economical so more people could use them. When a friend showed her a light filter that was a match for the goggles' lens, she decided to create not just an affordable pair of aura glasses, but also a book with instructions and interpretations. "I outline various exercises that can be performed to shift our energies out of left brain mode to the right brain, in order to enhance aura viewing ability," she says. The meaning of colors is also discussed as well as other related topics. Do Aura Glasses Really Work? Few people can see auras with the naked eye; however, with the aid of aura glasses, most people can see the light around other people. Wendy explains that it isn't a talent, but a learned skill. In her book, she outlines specific exercises that train how to see auras. She says, "Going into an altered state, which is a subtle shift in energy, also enhances aura viewing ability." The aura goggles allow the person to see the outline of energy that eliminates around people. How Do Aura Glasses Work? The lens color of the aura glasses is indigo. This is important since the aura is viewed by using the sixth chakra. The color of this chakra is indigo. It is also the first auric color in the layers of the aura. Not everyone have an open sixth chakra. "To be open, it must be vibrating at the frequency of indigo," Wendy explains. Since the lens of the aura glasses is indigo in color, looking through the lens helps to open the sixth chakra. Anyone who uses the goggles will immediately be able to see auras when they use the goggles. Wendy explains that it takes study and research to interpret what they are seeing. With practice and developing their intuitive skills, people can understand what they are seeing in an individual's energy field. They are equipped with a knowledge base that will allow them to interpret the person's aura. She encourages beginners. "Attempting to view the aura can open us to a higher level of intuitive ability, fairly quickly, if focus is held," she says. What Does Your Aura Reveal About You? The aura is generated from the chakras, so reading the colors of the aura can reveal which chakras are blocked and which are open. Auras can also disclose the current emotional state of a person. Wendy says the aura, "Reveals their energetic defense patterns and indicates where disease may be, or could later manifest in the physical body." This knowledge and be used to prevent such diseases from manifesting. She explains that once this unconscious knowledge is made known to the conscious everything can change. 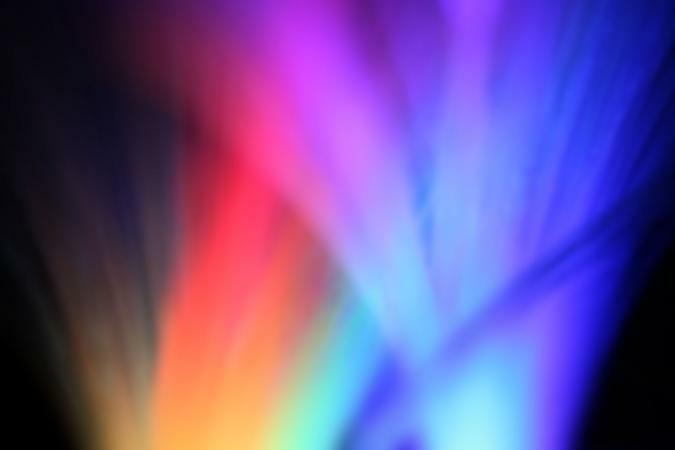 The metaphysical world has a general understanding of the meaning of each color in the aura. However, Wendy feels that the color interpretations aren't nearly as important as the information these colors give on an intuitive level. The color interpretation is ultimately made by using all senses. Wendy explains, "In a nutshell, we open a portal through which a tremendous amount of information not normally available to us can be downloaded." There are instances when light beings have been seen within people's auras. Barbara Brennan writes about this in her book, Hands of Light. Wendy was fortunate to witness this phenomenon. "They [light beings] appeared spontaneously from the aura of my sister after she had received a healing from a gifted spiritual healer," she says. In the case of her sister's healing, Wendy saw the outer band of her aura become very bright. Within the illumination she saw light beings forming. They grew brighter, and she was able to discern the light beings' facial features. According to Wendy, the beings remained for nearly twenty minutes as the healing took place. Since Wendy create Aura Goggles, several companies offers aura glasses, but they aren't the same. You can order Wendy's book and aura glasses on the Aura Goggles website and begin to see auras while opening your sixth chakra.